Metal is delighted to welcome The Art Lending Library to Peterborough, on its last and only Southern stop in its tour of the UK. 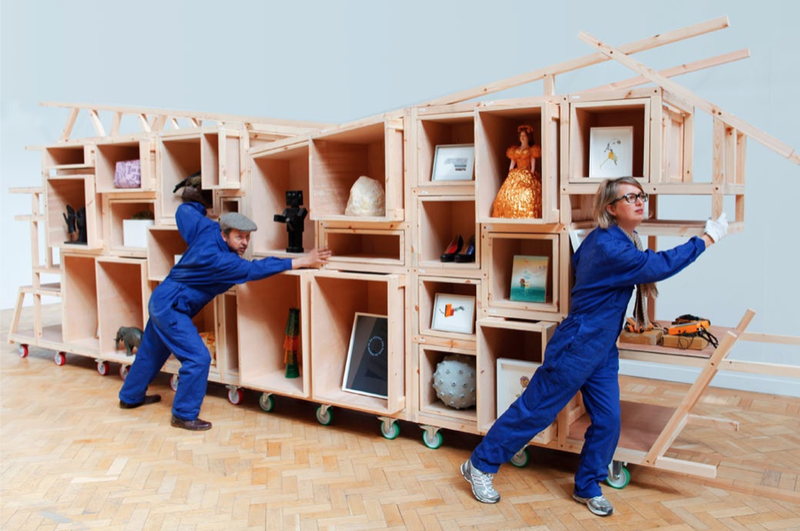 Art Lending Library is a project by Market Gallery and Walker & Bromwich. Its is an evolving social sculpture housing a diverse collection of artworks that can be enjoyed in your own home. The Art Lending Library is an ambitious commission by Zoë Walker and Neil Bromwich which takes the form of an experimental library and public procession. 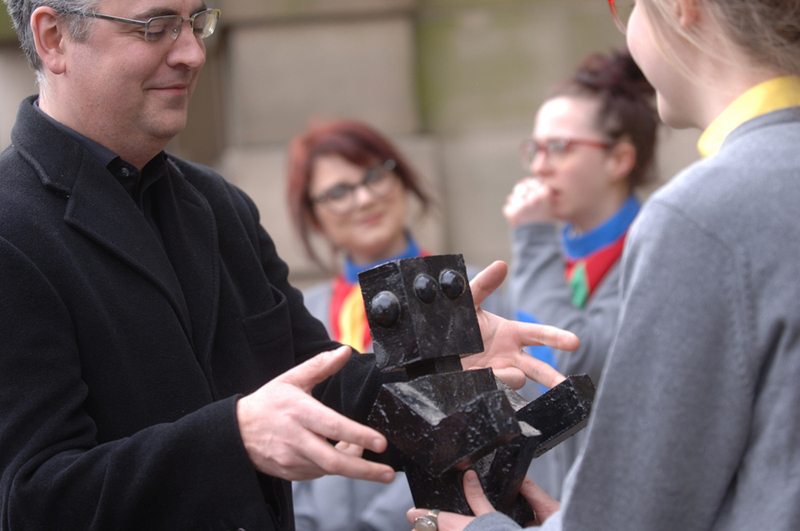 Originally conceived and curated by Market Gallery for Glasgow International Festival of Visual Art 2012, it provides the unique opportunity for the people of the town or city in which it is exhibited to borrow works of art and enjoy them within their homes, work places and community centres. The Art Lending Library brings together over 50 works by a diverse range of artists working across the broad spectrum of formats available within contemporary visual arts practice. The project has been made possible through the generosity of participating artists in gifting their works into the care of the library, to be made available to loan for the duration of the exhibition. The library structure is made up of multi-functional wooden crates. 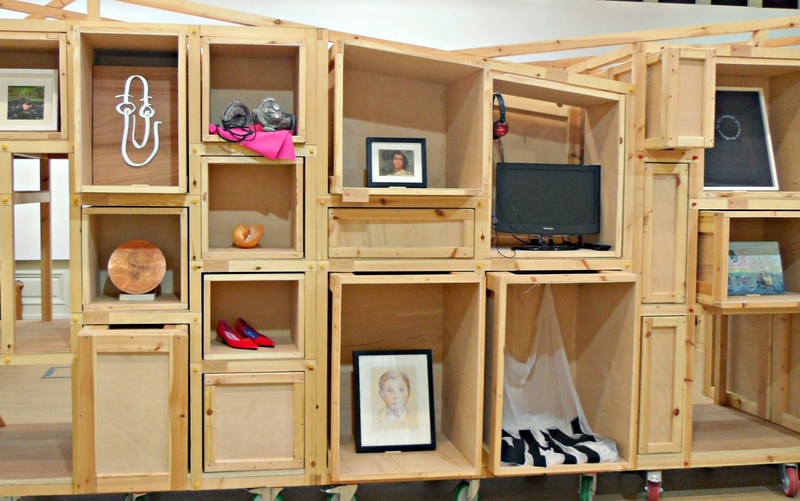 Each crate houses an artwork and is detachable and ready for transport to people’s homes. On returning to the library the crate is re-attached to the body of the library and again operates as a display case. This modular design creates a constantly changing sculptural form that maps the user’s borrowing. As people borrow or return an artwork they will also physically shape the library, becoming a part of an on going social sculpture. The project stands in resistance to the tide of narrowing access to the arts and education by creating an egalitarian space where art can be borrowed and enjoyed by all sectors of society. Art Lending Library follows the model of a public lending library which members of the public can join free of charge. Designers Sophie Dyer & Sebastian Gorton Kalvik continue to deliver the design work for Art Lending Library. Our website includes their online map (click here) that shows in real time the journeys the artworks take as they spread throughout the city. The Art Lending Library will be exhibited at Metal, Chauffeurs Cottage, St Peter’s Road, Peterborough, PE1 1YX. Art Lending Library is run by volunteer ‘Librarians’ and ‘Art Handlers’. We are currently seeking more volunteers to help deliver this exciting project. If you would like to get involved contact Ruth Campbell at ruth@metalculture.com for more information.